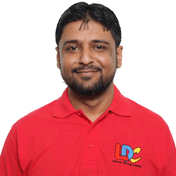 Khuram is a very calm and polite person and he uses a different way of teaching than other instructors. Khuram uses the LDC workbook to help pupils to achieve their lesson targets. I would recommend him to anyone who wants to pass quickly. 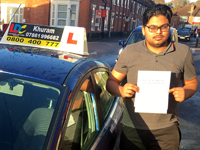 I'm a driving instructor in Stall, Willington, Beam Hill, Burton upon Trent, Winshill, Branston, Stapenhill, Rolleston on Dove, Tutbury, Hatton, Hilton, Tatenhill, Anslow, Rangemore, Needwood, Draycott in Clay, Uttoxeter, Ashbourne, Barton-under-Needwood, Walton on Trent, Alrewas, Lichfield, Tamworth, Egginton, Repton, Newton Solney, Bretby, Woodville, Chruch Gresley, Castle Gresley, Albert Village and the surrounding areas.